A delicious, sweet, delicately perfumed, saffron coloured, digestion boosting infusion with rose buds, goji berries and Chinese red dates. Following my previous blog about Eight Treasures Tea, I have shared a few herbal infusion recipes with @goodshoeday and @aforkful on Twitter and thought I would put them in this blog so that there is a searchable copy. Before I list the herbal infusion recipes, I would like to say that you should always check with your doctor (Traditional Chinese in this case) before consuming any of these herbal tisanes in large quantities. My rule of thumb is to let your body tell you whether something is good for your body. All things in moderation. Chinese Herbal “tea” infusions can be divided into a few main types. 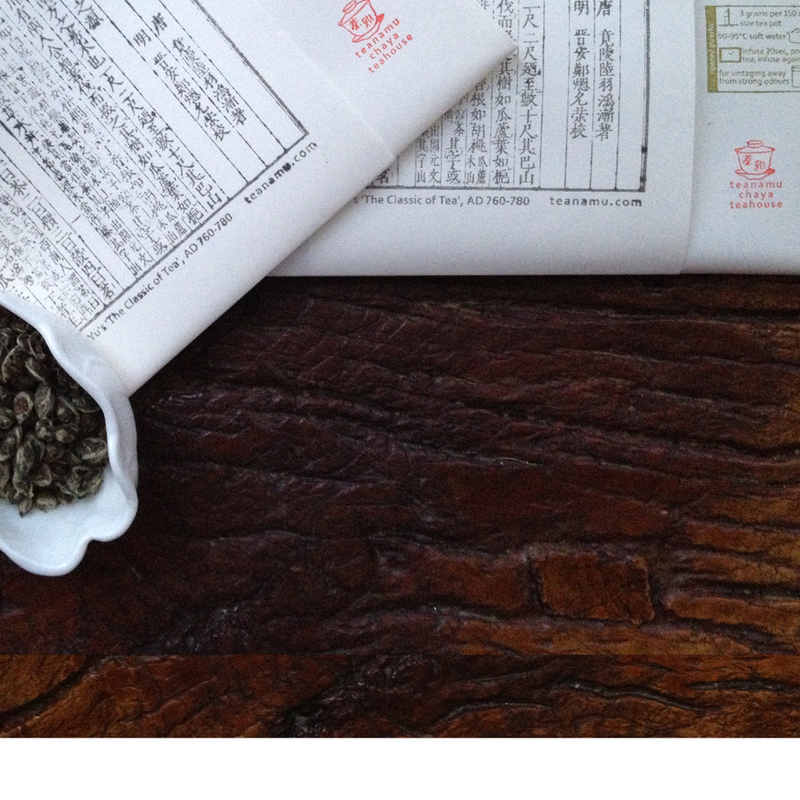 We have the Han herbal infusions, Five Cereals infusions, Chinese Tea (Camellia Sinensis) and Floral Tisanes. Floral Tisanes are most familiar. Now I have to stress again that, strictly speaking, anything without Camellia Sinensis isn’t really “tea” as such. In this blog I will be talking about Floral Tisanes. Tisanes are infusions using the roots, stems, leaves, flowers, fruit, bark or seeds of plants. Historically, we have been using these plants as medicine, food, perfume, drinks and beauty products. Many of these edible plants contain oils, vitamins, minerals and bio-flavanoids etc, which can relieve life’s minor aches and pains, lift one’s spirits or create calming effects on one’s body. A few pointers regarding the brewing of Chinese Floral Tisanes. Use a ball shaped pot of about 400-500ml as this will promote the circulation of heat within the pot. Commonly used pot material is glass or porcelain. Glass is preferred as one can view the “dancing” of the flowers and fruits while enjoying the tea brew. Water temperature is crucial. Use 90°C and above but never boiling. Infuse for about 1 to 2 minutes without stirring and enjoy the gradual change in taste and flavour profiles over multiple infusions. One can also do a cold brew to allow for a more consistently coloured brew and longer lasting fragrances. If you want to do an ice tisane drink, reduce the water by 1/3. If you also like to drink with your eyes, fill the pot with water and then put the flowers into the hot water to maintain the colours in the flowers. To get a clearer infusion (minimising sediments), half fill the pot with water, add the herbs and then top up with more water. A tea warmer and tea lights are also useful to allow you to continuously maintain a warm pot of the infusions. Also useful are a strainer and timer. Store your herbs separately in airtight containers. Now there are many retailers selling chopped up herbs for convenience and quicker infusion. However, I think that it is much better to use whole herbs and create a blend that you like and so that you know what goes into your Floral Tisanes. Take some time from your schedule and enjoy the tisane; drinking it with your mouth, nose and eyes. For uplifting of spirits 1: Dried Rose Buds + Fresh Lemon Balm + Fresh Thyme (optional). Addition of honey optional. For uplifting of spirits 3: Dried Rose Buds + Milk + Black Tea. For uplifting of spirits 4: Dried Rose Buds + Rosemary (fresh if possible). For uplifting of spirits 5: Dried Rose Buds + Apple Vinegar. To make your own apple vinegar, add fresh apple slices in vinegar and soak them for 1 week. Dilute the vinegar to 1/6 before use. For improve concentration: Peppermint + Lemongrass + Dried Rose Buds. For unsettled stomach: Dried Jasmine Flowers + Cloves + Lemon Juice + Honey. For boosting digestion 1: Dried Jasmine Flowers + Lemon Grass + Honey. For boosting digestion 2: Dried Jasmine Flowers + Lemon Grass + Honey. 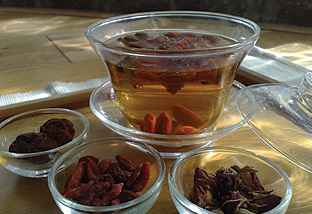 For boosting digestion 3: Dried Rose Buds + Chinese Red Dates + Goji Berries.